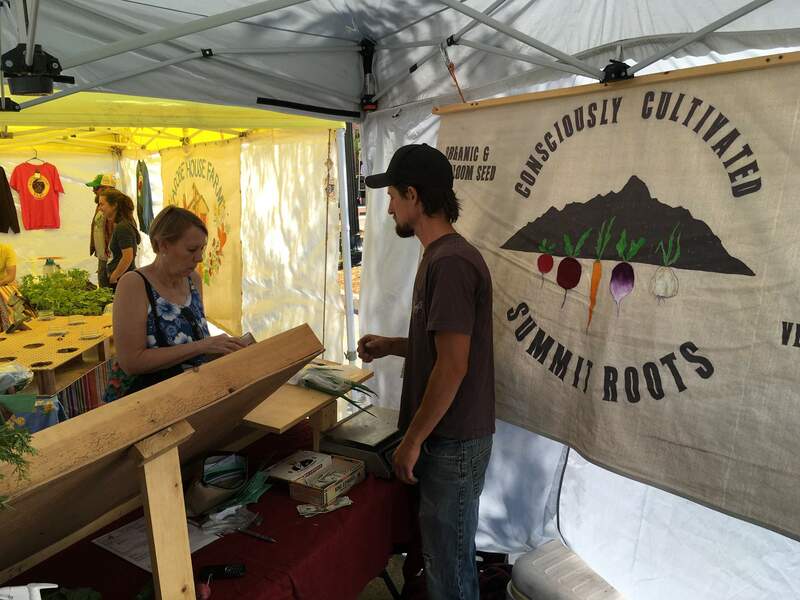 Jordan Meyers (right) of Summit Roots helps a customer at the Durango Farmers Market. This is the farm’s third year at the market. Jordan Meyers didn’t always want to be a farmer. Around 10 years ago, he didn’t know exactly what he wanted to do. Spurned by the idea of being self-reliant, he started farming. Meyers started Summit Roots five years ago. Though it isn’t certified, it is an organic farm that serves beets, carrots, lettuce, peppers, tomatoes and more. “We try to do everything we can to go beyond the organic and make sure we’re sustainable,” Meyers said. “We have the whole spectrum of vegetables,” he said. Summit Roots, located outside of Dolores, differentiates from other farms in the area by utilizing season extensions. Season extensions are when crops are grown and harvested outside the normal growing season. This is Summit Roots’ third year at the Durango Farmers Market. The farm also has a stand at the Cortez Farmers Market.